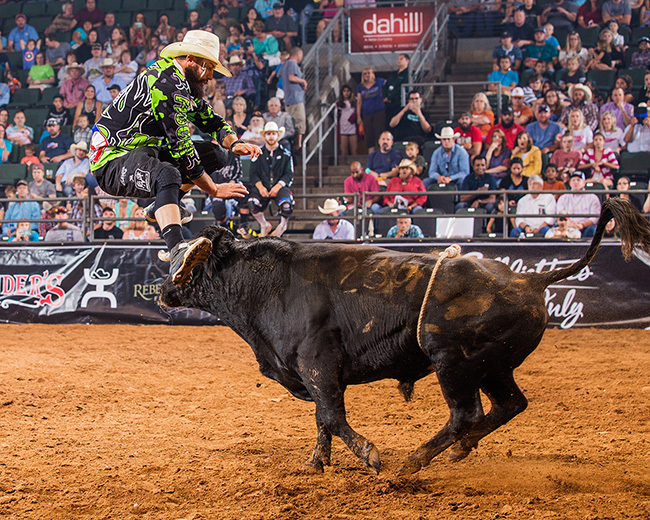 He and five other men will get that chance when the Bullfighters Only produces this year’s championship event, part of its inaugural tour. The bullfight will take place Thursday-Sunday. “California Rodeo Salinas is happy to work with BFO in our 2016 show,” said Henry Dill, the rodeo’s track director. “California is very proud of our freestyle bullfighting event – considered one of the premier freestyle bullfighting event in the rodeo industry – and in working with BFO. “There are a lot of Portuguese people out there, and bullfighting has a huge following because of that,” said Ross Hill of Muscle Schoals, Ala., now in his 10th year competing in Salinas. “Salinas set their stone a long time ago. There’s an atmosphere there around the bullfights.